You can also join our 360 Lantau Sunset Tour to take in Lantau's gorgeous views and attractions by sunset! Really a good place to go to for sightseeing. It's quite cold up there and we get to skip all the cable car queue with this pass which was very good as the queue was really really long. The largest island in Hong Kong (almost double the size of Hong Kong Island! ), Lantau Island is known for being home to the Hong Kong International Airport. But there's much more to Lantau Island! From its hills, excellent beaches, temples and monasteries, to the traditional fishing villages and more, the island remains mostly rural and untouched and perfect for exploration! 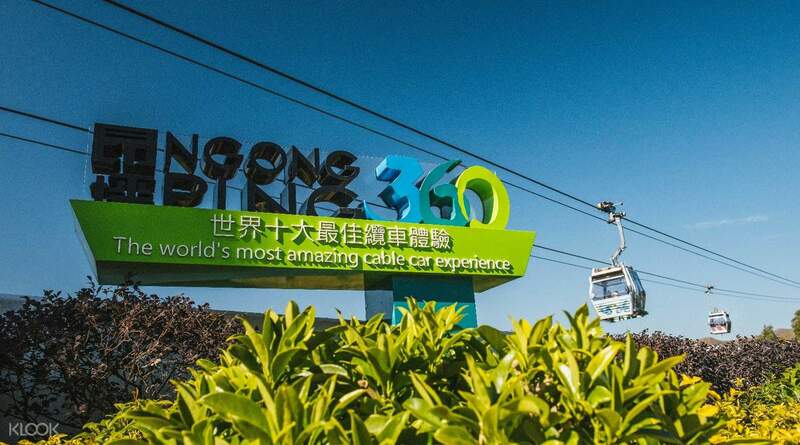 Start with redeeming your ticket at Tung Chung Cable Car Terminal, then get on the cable car to get to Ngong Ping. Remember to redeem your ticket at least an hour before your scheduled tour time so that you don't get caught in long lines! After getting off the cable car, meet your guide at the Li Nong Tea house in Ngong Ping Village, and your guided tour will start. 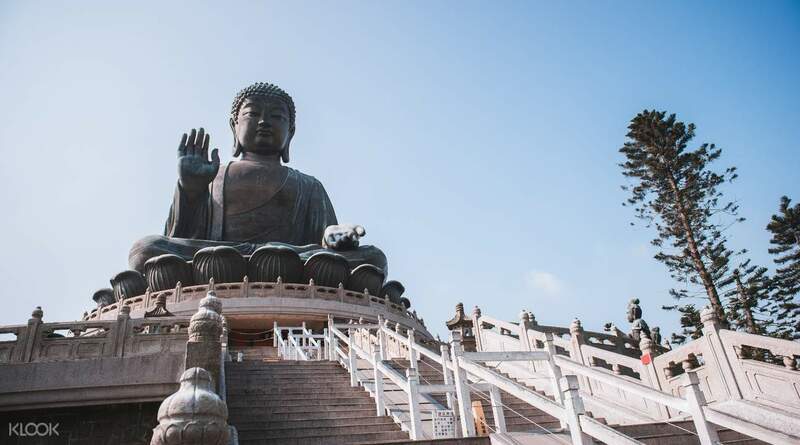 You'll be taken to several popular locations in the island, some you have to get to by foot, like the Giant Buddha, Ngong Ping Village, Po Lin Monastery. 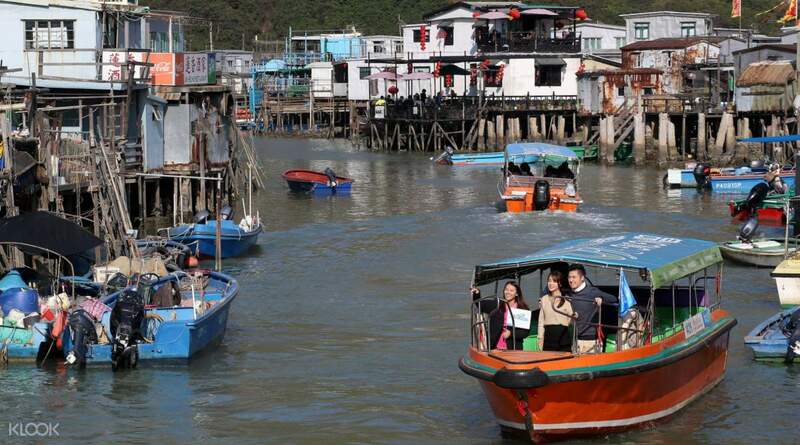 Others, you can get to by boat, like the Tai O Fishing Village. 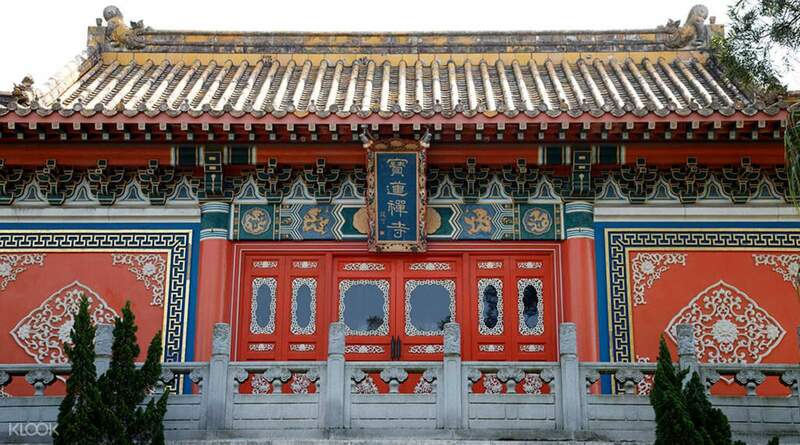 The immersive tour takes you to all of the cultural sights on the island in one day - a perfect crash course to the other side of Hong Kong! Enjoy a family friendly activity this holiday season! wonderful experience, crystal cabin, great weather, good guide and fast lane through klook tour was the best part.. there were long queues but with klook tour, we got fast tracked both sides sving atleast 2 hrs.. but if you taking 2:30 tour, better reach 1-2 hrs early coz the tour doesn't include guided of budha and monastry, sonce budha closes at 5 and cable car entry at 6. wonderful experience, crystal cabin, great weather, good guide and fast lane through klook tour was the best part.. there were long queues but with klook tour, we got fast tracked both sides sving atleast 2 hrs.. but if you taking 2:30 tour, better reach 1-2 hrs early coz the tour doesn't include guided of budha and monastry, sonce budha closes at 5 and cable car entry at 6. Very good experience me. Usually the line for the cable cars takes more than an hour, with this packages, I doesn't need to wait at all. The best part is the tour guide is experienced, her name is Becky Chan and did an amazing job bringing us around and answers our questions. Even as a local Hong Konger, I felt this short trip is worthwhile as it explore few different places near Tung Chung, including the cable car, Buddha, fish village, and Hong Kong Macau Zhu Hai bridge. Totally recommend for local people and foreigners!! Very good experience me. Usually the line for the cable cars takes more than an hour, with this packages, I doesn't need to wait at all. The best part is the tour guide is experienced, her name is Becky Chan and did an amazing job bringing us around and answers our questions. 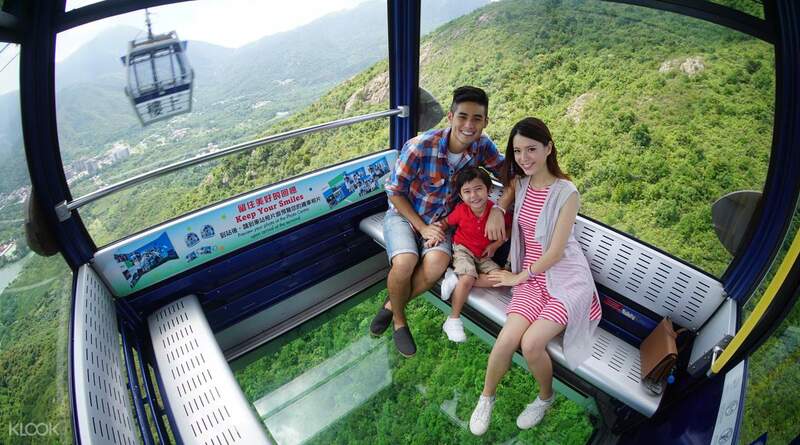 Even as a local Hong Konger, I felt this short trip is worthwhile as it explore few different places near Tung Chung, including the cable car, Buddha, fish village, and Hong Kong Macau Zhu Hai bridge. Totally recommend for local people and foreigners!! Tour guide Ronald is very knowledgeable and friendly . Aa this is this place is one of the highlights in HK, there are so many tourists. We Very lucky joined the tour from Klook, speedy and smoothly taking the cable cars for sightseeing. Tour guide Ronald is very knowledgeable and friendly . Aa this is this place is one of the highlights in HK, there are so many tourists. We Very lucky joined the tour from Klook, speedy and smoothly taking the cable cars for sightseeing. As a first time solo traveler, Klook has made my backpacking trip a lot easier. From Tung Chung cable car station, it was easy peasy as you won’t need to queue a long line, getting into the cabin was like a VIP! Upon arrival in Ngong Ping, with the package I got, I was able to see Lantau Island well. Watching and tasting the tea from Lining teahouse, the shuttle all the way to Tai O village, riding on a boat with a bit of dolphin sighting, visiting the Stilt House in the village with free snacks, worth 10HKD, then back to Po Lin Monastery and visiting the big Buddha shrine, booking them all-in-one via Klook is such a convenience. Until my next booking, Klook! Thanks! As a first time solo traveler, Klook has made my backpacking trip a lot easier. From Tung Chung cable car station, it was easy peasy as you won’t need to queue a long line, getting into the cabin was like a VIP! Upon arrival in Ngong Ping, with the package I got, I was able to see Lantau Island well. Watching and tasting the tea from Lining teahouse, the shuttle all the way to Tai O village, riding on a boat with a bit of dolphin sighting, visiting the Stilt House in the village with free snacks, worth 10HKD, then back to Po Lin Monastery and visiting the big Buddha shrine, booking them all-in-one via Klook is such a convenience. Until my next booking, Klook! Thanks! It's a fun experience riding the longest cable car in asia :) Going to Lantau is also awesome. Our tour guide, Luna, is so amazing, she explains everything related to buddha, Lantau place, etc. We climb the stairs going up to Giant Buddha, the feeling is great. It's a fun experience riding the longest cable car in asia :) Going to Lantau is also awesome. Our tour guide, Luna, is so amazing, she explains everything related to buddha, Lantau place, etc. We climb the stairs going up to Giant Buddha, the feeling is great. Annie the Tourist guide was very Informative and she did a good Job to make the Tour not to be boring. Riding a Crystal cabin was the worth of Experience. Tao O Village was interessant to see how the people live in the Village. Its nice to see the Buddha in person . Annie the Tourist guide was very Informative and she did a good Job to make the Tour not to be boring. Riding a Crystal cabin was the worth of Experience. Tao O Village was interessant to see how the people live in the Village. Its nice to see the Buddha in person . We chose the 11:15 am schedule and the crystal cabin. We went on a Monday. We arrived at the Tung Chung cable car terminal at 9:30 am although they suggested to go at least an hour before the schedule time. We got in line to get our tickets for the cable car and the tour itself. They had a Klook exclusive booth and we were able to get our tickets around less than 30 minutes. We waited for 10 minutes and were able to ride the cable car already. The cable car ride took 25 mins. We reached Lantau area at 10:30 and we just took pictures and looked around the area until the time we had to meet up at the Li Nong Tea House (there were a lot of things to see/explore so we weren't bored while we were waiting). After the tea demonstration, we went to ride a bus and started our tour. We went to Tai O Fishing village, rode the boat (sadly, didn't see any dolphins) and roamed around the area even got to spend all of our coupons. Rode the bus back to Lantau and our guide told us we could follow him to the Big Buddha and Po Lin Monastery but we opted to go on our own pace. Our guide, Ken, was super nice, approachable and lively. He told us lots of facts/info and even made some jokes. We were also given a survey to fill up and when we passed it we were given a small gift. We submitted it in the same store we got the priority pass for the cable car ride back. It was really helpful since there was a really long line for the cable car at around 4:30. Worth the money spent! We chose the 11:15 am schedule and the crystal cabin. We went on a Monday. We arrived at the Tung Chung cable car terminal at 9:30 am although they suggested to go at least an hour before the schedule time. We got in line to get our tickets for the cable car and the tour itself. They had a Klook exclusive booth and we were able to get our tickets around less than 30 minutes. We waited for 10 minutes and were able to ride the cable car already. The cable car ride took 25 mins. We reached Lantau area at 10:30 and we just took pictures and looked around the area until the time we had to meet up at the Li Nong Tea House (there were a lot of things to see/explore so we weren't bored while we were waiting). After the tea demonstration, we went to ride a bus and started our tour. We went to Tai O Fishing village, rode the boat (sadly, didn't see any dolphins) and roamed around the area even got to spend all of our coupons. Rode the bus back to Lantau and our guide told us we could follow him to the Big Buddha and Po Lin Monastery but we opted to go on our own pace. Our guide, Ken, was super nice, approachable and lively. He told us lots of facts/info and even made some jokes. We were also given a survey to fill up and when we passed it we were given a small gift. We submitted it in the same store we got the priority pass for the cable car ride back. It was really helpful since there was a really long line for the cable car at around 4:30. Worth the money spent!